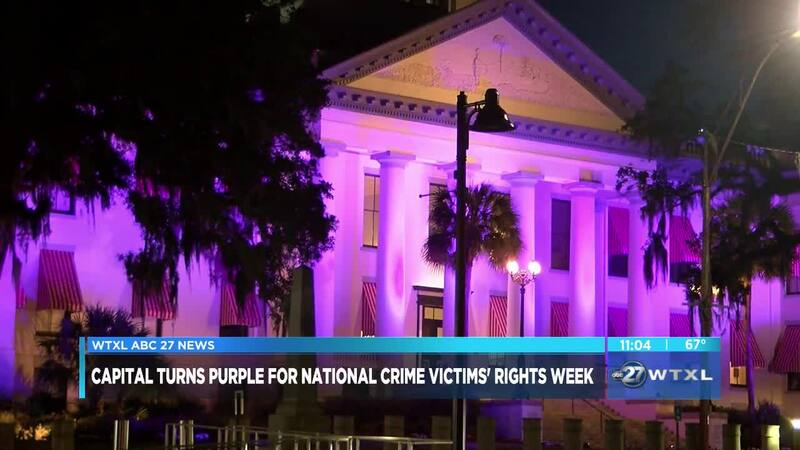 Thursday the old Florida Capital turned purple, in recognition of National Crime Victims' Rights Week. Marsy's Law for Florida installed the lights. Last November, Florida voters voted for Amendment 6, known as Marsy's Law for Florida, which provides victims with clear, enforceable rights and protections. While Marsy's Law for Florida is now part of the Florida Constitution, there is still work to be done to enact legislation around it. "They want clarification so is what this implementing bill would provide clarification answers to the different questions to make sure we're constant throughout the state," said Ann Rowe, Spokesperson for Marsy's Law of Florida. The purple lights on the capital will be on display through Saturday night.